Our organization hold expertise in providing excellent quality Designer Fabric Bags, which are available in various specifications. 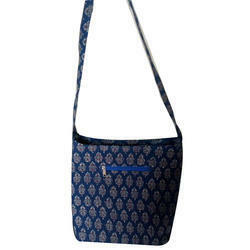 These Designer Fabric Bags are manufactured by using high grade material which ensure its best quality and durability. Widely appreciated by our clients, we offer these Designer Fabric Bags at industry leading prices. We are manufacturer , supplier, wholesalers, exporter of Fabric Bags, Cotton Bags, Canvas Bags, Handbags. We are actively engaged in manufacturing an extensive range of Textile Handbags for catering the diversified requirements of our clients. 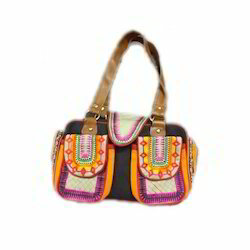 Description: This handbag is made in Non Woven Fabric and is specious inside suitable for Shopping Purposes. - Color: Available in different attractive colors on Bulk Order. Prime Craft Smart Pvt. Ltd. in house manufacture and export an exclusive range of stylishly designed Handmade Banjara Jhola Bag similar to shoulder bag. These bags comprised of beautiful antique textiles from Rajasthan. Jute fabric bag with leather handle. We are a well-known exporter and trader of Fabric Bag in the market. The offered bags are precisely designed using supreme grade fabric and modern machines under the supervision of experienced vendors. Further, these bags are available in various designs, sizes and can also be customized as per the requirements of the clients.